Hi, my name is Cathy. I worked for the public service for nearly 30 years. A member of management made a sexual advance toward me about 2 yrs into my career. When I rejected him, he started to build up a file on me culminating in him actually physically removing my desk from the office and going to more senior levels of management to say he had no longer any work for me to do. My desk was removed to a storeroom, with dusty files, a photocopier, very little light or ventilation and no phone. When I went to my union they advised me to take a transfer to another department!! I refused to do this and eventually was accommodated within the same building. Shortly after this I took a career break. When I returned a similar pattern of behaviour occurred, allegations being made by him that I was not doing my job properly, introducing new members of staff to everyone in the room but me etc etc. Eventually I went to a solicitor/lawyer and he received a letter by registered post. The bullying then stopped for a few years although he still would not speak to me. Then I got a promotion and he became my immediate supervisor again. 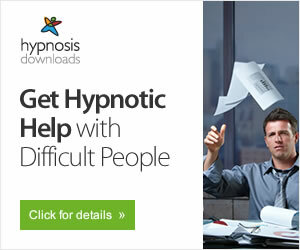 I got no help or training from him in my new post and after a few months, the whole pattern began again. My work was given to other members of staff to do on an overtime basis and I could see that I was heading off in the same direction again. When I complained to two senior members of management, it was suggested, politely at first, that I transfer to another section. What started out as a polite suggestion manifested itself into an order and within a few months I was told that if I did not voluntarily transfer, I would be removed from my job and that it would take a ministerial order to reinstate me!! All this while my supervisor continues with his daily work, unaware and untouched by the whole thing! I went off on sick leave for almost a year and had the bullying investigated by an independant body, the conclusion of which was that yes indeed I had been bullied and harrassed. I had engaged the services of a lawyer again and when we got the report back I was told that I had a huge action for damages against my employer. Money however was not a huge motivational factor for me, although I am not wealthy. I wanted these people to be held accountable. Back at work for nearly two years, I could see no visible improvement in the behaviour of my employers and I decided to take an action against them. It took 2 years and a High Court order for them to produce their evidence. All in all it took nearly 7 years for the case to be listed, at which point I was informed by my lawyers that the courts were now inundated with bullying cases, that this was not my fault, but that I would be taking a huge risk having the case heard and would have to settle it. My employers would only agree to a settlement on the grounds of me taking early retirement. And still the perpetrators remain in their jobs, some of them in senior management have had several promotions since all this started. I feel so hurt, angry and bitter over this whole experience. It has left me with no faith whatsoever in the judicial system or in any sense of fairness or justice. I had to leave my job. Why? What did I do? I am a single parent struggling on one income, now reduced by approximately two thirds, and these people can stay in their jobs, have no accountability and even get rewarded for their bad behaviour. I am thinking of writing a book. Meanwhile I would advise anyone in a similar situation to get the hell out while you still have your health and your sanity. I thought I would get justice and maybe prevent other people having to go through the same hell that I went through but nothing could have been further from the truth. Anyhow that is my story, sorry that it is not more upbeat, but I am just telling it like it is. Please write the book. To me, our only hope is to educate the masses one tiny step at a time. I understand only too well what you endured and I am sorry you had to go through it for so long. It makes me angry (for you), too that you were treated so unfairly. Something HAS to change in this world to stop this kind of behavior that ruins the lives of so many who are targeted. Yes you must write a book. 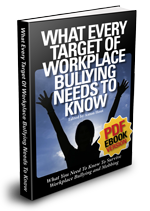 We need to let the world know that work place bullying has just as much if not more of a detrimental effect on a person's mental well being than childhood bullying. It also has an effect on our financial well being which adds fuel to the fire of depression. I too have been bullied at work. I had to go off work on stress leave (which wasn't covered by the company's benefit plan) and eventually was forced to quit my job. We have since lost our home and are now forced to consider bankruptcy because I am still unable to work and have no income. The governments and law makers need to address the issue of bullying and make the perpetrators responsible for their actions through jail time. I suspect you know me & I know your integerity and honesty. Yeah girl it would be lovely to expose these little people who expose croneyism at its ugliest. Write the book and keep talking to us! I am a public servant and for the past three years I have been subjected to bullying and harassment. The joy of this is the managers have gotten rid of two other team members so far and I'm third cab off the rank. And the HR will still sit back and say it's perfectly OK. Naturally, for those of us who are not in management's "inner circle", we are easy prey and do tend to come off second best given the mentality of "you scratch my back, I'll scratch yours". It's not right. And technically it's not legal. However, as you've unfortunately found, there seems to be few genuine options to get heard, much less for certain toxic cultures to be made accountable. All I can say is I believe in Karma. This is an exciting time believe it or not... I understand and have had the same experience in my undergraduate coursework. I was exploited for my work, even held back in college for another year because of their ability to use the system. All the while another of the bunch was bullying, harassing and getting rewarded for sitting around and spreading rumors. Now it seems my degree is useless because of the inability to get recommendations from a system that doesn't even stand behind their own product, professionals! This is a sign of the times and the beginning of true change lies in our ability to get conversations started just like this one. It bothers me because I am a single mother, I cannot provide for my child, the inefficiency is being compounded now in a system that would rather look the other way. But I want to tell you that at a certain point the system in business or education will have to go through the growing pains of either getting on board with a better way of doing things or fall by the wayside. I was not the only casualty, there were others that I was also trying to stand up for but the higher administration cut short any real interviews of the brave souls who saw a problem with the current system. Instead the bullies were given raises and jobs higher up in the system. My real concern was for my own ability to support my family and any of the students who might go ballistic from the hostile environment.